Most of us are guilty of taking time for granted. We don't appreciate each individual minute we are granted each day and we constantly look forward to the future. 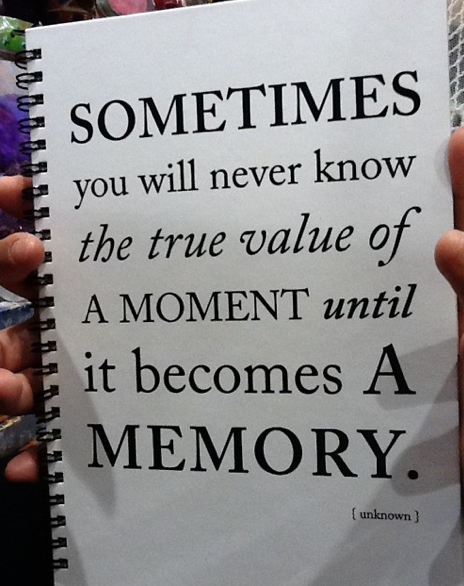 But each moment in our lives creates something. It creates a memory. Some memories stand out more than others. Some have more meaning in our lives and some we want to forget. 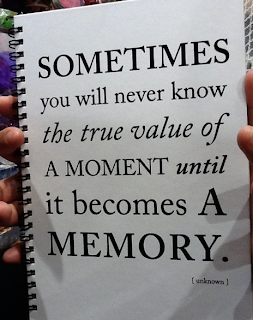 But each moment, each minute, has the potential to become a memory we cherish, a memory we hold close to our hearts. Live your life so you appreciate each moment. Live your life so the number of bad memories starts to dwindle. This great share on Pinterest was shared by Dorcas Cintron.